Discover the dramatic landscapes on a cruise–and-stay journey along the Elbe river and experience Berlin's stunning architecture as well as the atmospheric city of Prague in March 2019. This offer ends Wednesday October 24 at 7pm. Marvel at Berlin’s magnificent monuments as they are grandly illuminated by city lights during a panoramic tour. Witness Berlin, an intriguing blend of modern sophistication and sobering reminders of the past. Marvel at some of Germany’s most magnificent palaces, grand in design and rich in history. Stroll in the footsteps of Martin Luther, founder of the Protestant Reformation, during a walking tour of his city. 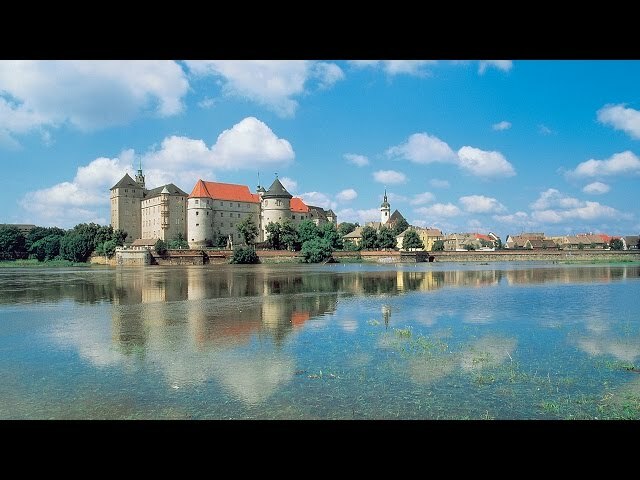 Visit the famous Meissen porcelain factory, where fine pieces are still made by hand. Witness the breathtaking beauty of Dresden by coach and by foot, gloriously revived after 50 years of restoration. See the graceful path of the Elbe from the most dramatic lookout point. Journey with your guide to the breathtaking Bastei. Step back in time in Prague, an incredible tapestry of medieval brilliance remarkably preserved. These intimate, state-of-the-art ships were custom built to sail the historic River Elbe. From cooked breakfasts through to indulgent five course dinners, every day with Viking is a journey for all your senses. Our Elbe river cruise ships feature deluxe accommodation and stylish Scandinavian interiors. Our exquisite Veranda suites boast private verandas, French balcony and a separate, spacious living rooms. Simple, yet elegant. Well appointed and comfortable. Our staterooms are a fantastic space to unwind after a busy day.